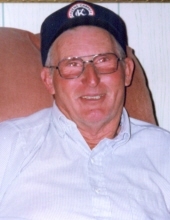 Bob McCracken, age 81, of South Holston Lake, Abingdon, VA passed away at his home Sunday, March 24, 2019 with his family by his side. He was born May 17, 1937 in Russell County, VA to the late Charlie and Ollie McCracken. Bob was a Russell County native having moved to South Holston Lake upon his retirement in 1994 from Jewell Smokeless. Bob was a born again Christian for 61 years and attended Mt. Calvary Church. In addition to his parents, he was preceded in death by three sisters, Stella Fields, Alice Mims, and Nannie Bellamy; two brothers, Roscoe McCracken and Harry McCracken. Survived by his loving wife of 61 years, Patty Hagy McCracken; his son, Scotty and wife Donna of Lebanon, VA. Bob’s pride and joy of his life were his grandchildren. Grandson, Christopher McCracken and wife Emily of Richmond, VA, and granddaughter, Nicole McCracken of Richmond, VA; two sisters, Pauline Staples of Abingdon, VA and Pansy Whitman of Cleveland, OH; one brother, John McCracken and wife Janice of Abingdon, VA. The family will receive friends from 12 – 1 p.m. Wednesday, March 27, 2019 at Singleton Funeral Service in Cedar Bluff, VA.
Funeral Services will be conducted at 1 p.m. Wednesday at the Singleton Funeral Service Chapel with Rev. Howard Edwards officiating. Burial will follow in Greenhills Memory Gardens at Claypool Hill, VA. Pallbearers will be Christopher McCracken, Randall McCracken, Freddie Staples, Bill Hagy, Ralph Hagy, Vince (Mutt) Hagy, Jr., Roger Hagy, and Jimmy Hagy. The family of Bob McCracken is in the care of Singleton Funeral Service in Cedar Bluff, VA.
To send flowers or a remembrance gift to the family of Bob McCracken, please visit our Tribute Store. "Email Address" would like to share the life celebration of Bob McCracken. Click on the "link" to go to share a favorite memory or leave a condolence message for the family.